“At the Medio School for Girls, distinguished young women are trained for one of two roles in their polarized society. Depending on her specialization, a graduate will one day run a husband’s household or raise his children. Both paths promise a life of comfort and luxury, far from the frequent political uprisings of the lower class. Daniela Vargas is the school’s top student, but her pedigree is a lie. She must keep the truth hidden or be sent back to the fringes of society. 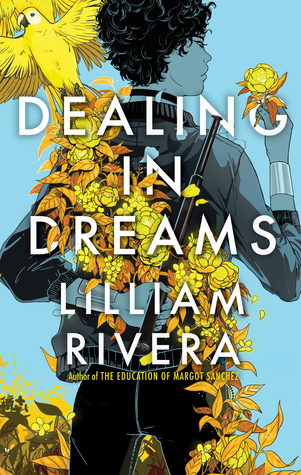 And school couldn’t prepare her for the difficult choices she must make after graduation, especially when she is asked to spy for a resistance group desperately fighting to bring equality to Medio. 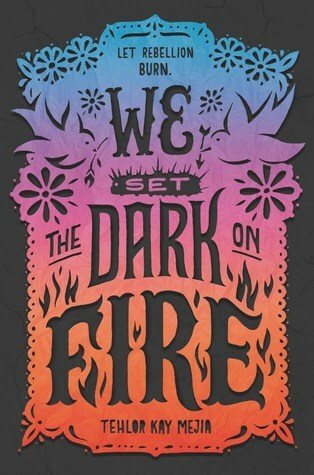 Tehlor Kay Mejia’s debut, We Set the Dark on Fire, is an empowering dystopian fantasy with real-world correlations about classism and immigration. Daniela Vargas has done everything in her power to hide that she was born on the wrong side of the island of Medio. She’s risen above her station and is on the verge of fulfilling all the dreams her parents have had for her. As a graduate from the Medio School for Girls, Dani will become one of two wives to a son of one of Medio’s most powerful political families. Just when it becomes certain that her secret will unravel all her well-laid plans, she’s thrown a lifeline by an operative of the notorious revolutionary group La Voz. In exchange for their aid, Dani will have to become a spy in her new husband’s household, but Mateo Garcia isn’t just the son of a powerful father, he has direct influence over the policies that have kept people like Dani in poverty. Further complicating matters are Dani’s growing feelings for her husband’s other wife Carmen. When Dani sees first hand how ruthless the government can be, she must decide if she’s willing to fight for a safer future for everyone by standing in direct opposition to her husband. But if he discovers her deception, she won’t live long enough to see such a future. There are so many intricate details to the world-building in this one, every element felt so deliberate and added something unique to the narrative. We Set the Dark on Fire opens with Medio mythology, weaving a story of two brother Gods and the jealousy that tore them apart. It’s a story that ends with the island of Medio being separated by a wall, where one class of people is allowed to flourish, while the other is condemned to a life of poverty. It’s the origin of Medio’s matrimonial tradition of raising a select group of girls to be married off to the most eligible and rich bachelors. Dani has been groomed to be a Primera, the wife meant to be her husband’s equal in intelligence and power. Carmen is a Segunda, the more nurturing of the pair, meant to provide her husband with a warm home and children. This mythology becomes a justification for people like Mateo Garcia to see people seeking a better life as law-breakers, groups like La Voz calling for equality as dangerous, and anyone sympathetic to these people as traitors. In this world, morality is not black and white. Those in opposition to rebel groups like La Voz believe they have more of a claim to liberty and prosperity, and they will do everything in their power to keep the population fearful. Those on the resistance side have tried to keep their protests peaceful, but their people are starving, are being thrown in prison, and when change refuses to happen, you’re left with little choice but extremes. I loved how different Dani and Carmen were as characters as they were raised to take on certain roles. As a Primera, Dani has been taught to value her stoicism, to not give anything away, to observe before acting. Carmen on the other hand has been raised a Segunda, known for their passion and enthusiasm. Watching their relationship develop was such a treat. At first, every interaction and every word is fraught with animosity, but slowly their exchanges become charged with tension and an undeniable attraction. I loved Dani’s personal story arc as a young woman hoping to make the best of her circumstances. Her parents’ dream has become her own goal, even though she might have been happier living a simpler life. She carries their dreams on her shoulders and when she is given an opportunity to do more with her life, to fight for those not as fortunate as herself, she has to decide not only to give up the comforts of her new life, but also risk the dreams her parents had for her. I really wish we got a couple of chapters from Carmen’s perspective. With the way this one ends, it feels like we’ve only scratched the surface of who this young woman is. We Set the Dark on Fire is like no other dystopian fantasy that I’ve read. I loved that it centers Latinx culture, features two complex Latina characters, and that their romance is given center-stage despite the patriarchal setting. “I hope it unnerves them to know I am lying. The Wicked King, Holly Black’s highly-anticipated sequel to The Cruel Prince, is as intoxicating and heart-stopping as its predecessor as Jude tries to hold on to power in a world that makes games out of crushing mortals. Five months have passed since the end of The Cruel Prince. As Cardan, the new High King of Elfhame, sits on the throne, his subjects are unaware that it is Jude, a mortal girl who grew up in Faerie, pulling the stings, having orchestrated both his crowing and his vow to obey her every command. But with such a young ruler on the thrown and his older brother Balekin in prison, there are those in Faerie who believe a weak king and an alternate heir leaves room for another coup. Jude must find a way to counter the machinations of those hoping for a power grab while also keeping a vexing, yet alluring Cardan in check. 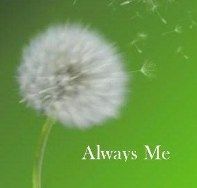 With little allies on her side, Jude is tested at every turn and when she discovers someone in her confidence has betrayed her, it becomes even more imperative that she find a way to hold on to power. Faerie is a world built on deceit. The Folk cannot lie, but they can manipulate, they can twist the truth and hide their true motivations. Jude has grown up in this world and has had to figure out how to survive when every Fae sees her as weak and vulnerable. She has become a force to be reckon. 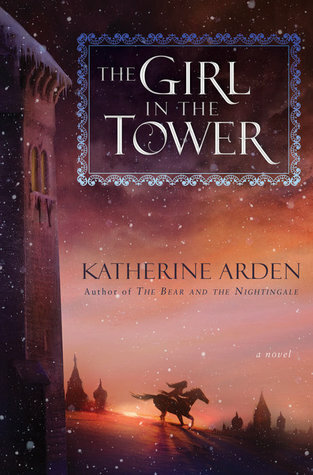 In this sequel, I loved seeing the shift in her relationship with Madoc, her ‘adoptive’ father. He raised Jude and Taryn to look out for themselves in this world of Fae, but he never quite imagined that either would grow up to influence his world in such a dramatic way. Madoc, like most Fae, puts his own desires first, but since these often clash with Jude’s own wishes, it pits them against one another and I love that they both manage to push the other to their limits. I also really enjoyed Jude’s shifting relationship with Cardan. Black writes the Folk in such a way that the reader is forced, like Jude, to sift through words and actions in order to find the truth underneath. There’s always another layer to a character that I thought I had figured out. After this novel, I feel like I have a better understanding of who Cardan is and what his motivations are. Jude and Cardan’s relationship is fraught with mutual contempt, but also a fascination with one another. In this second book, both take steps to understanding each other better and I see so much potential for an alliance between the two built on actual trust if they could only get there. One of my favorite things about The Folk of the Air series is how Black continues to raise the stakes. 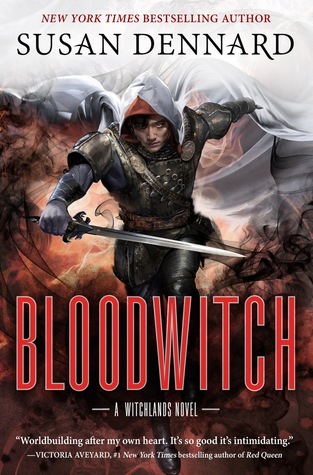 Jude was able to manipulate Cardan in order to put him on the thrown instead of her little brother Oak, but in this novel, she doesn’t have an opportunity to rest. Power is fleeting in the Faerie world, especially for those who can’t stay vigilant. Jude is pushed physically, emotionally, and mentally in The Wicked King. She succeeds only when she is able to stay several steps ahead, but there is always the possibility that as a mortal, she is ill-equipped to the task. Female characters who want power for power’s sake are few and far between in fiction, so it’s refreshing to get a character like Jude whose motivation is to gain as much power as possible and who can’t help but delight in her newfound authority. Also there is something truly satisfying about seeing Jude, a mortal girl, get the best of these mythical beings. 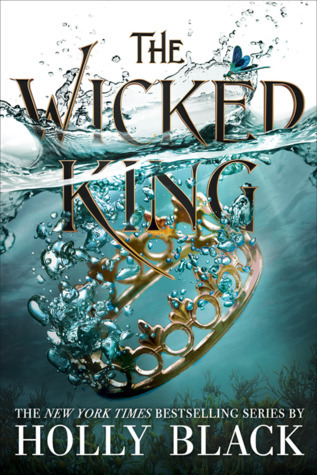 Holly Black’s The Wicked King is a sequel that will no doubt delight fans of the first novel, its twists will keep readers on their toes, and its ending will have them begging for the next installment. 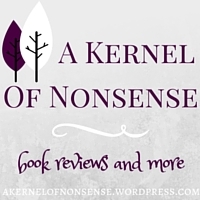 I know I’m not the only blogger who struggles with reviews. 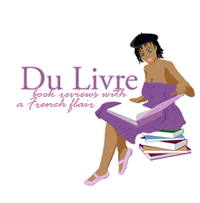 I’ve implemented the mini-review on my blog which has helped immensely when I just can’t get myself to write a full review. However, there are still times when I struggle to get my thoughts down. Since it is the start of a brand new year, I decided to try another review method which I am calling the snapshot review. 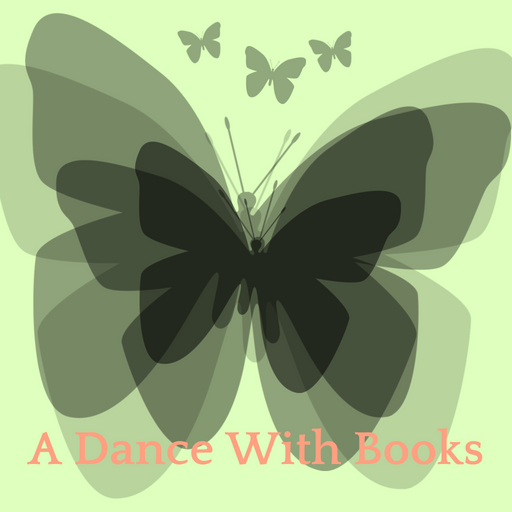 It’s designed to help me convey how I feel about a book without being bogged down by a particular kind of format. Speaking of formats, I might tinker with this one throughout the year until I find what I’m comfortable with. You can still expect mini-reviews (though I might ultimately do away with them in favor of this) and full reviews from me throughout the year. “A nobleman’s daughter with magic in her blood. An empire built on the dreams of enslaved gods. Empire of Sand is Tasha Suri’s captivating, Mughal India-inspired debut fantasy. World-building – I loved Tasha Suri’s world. It was filled with magic, sleeping gods, and also touched on prejudices toward ethnic minorities. Magical system – Some of the most gorgeous writing in this one was when Suri described the rites. These were different kinds of dances performed by the characters which function as both a prayer and a way to harness the power of the Gods. Mehr – I loved following Mehr as she goes from her very confined life as the illegitimate daughter of governor to being turned into a pawn to finding the strength to embrace herself, both as a Amrithi woman with magic in her blood and a mortal with limitations. Amun – I have a soft spot for secretly soft-hearted love interests. Though Amun at first comes off as cold, he is extremely patient and gentle with Mehr. Fans of the slow-burn, this book is for you. Maha – The villain of the story is easy to hate, but also really interesting. He demands worship from his followers, though he is no God. His followers in turn are so taken with him, most being once lost children without a home, that any thought that he may be doing evil instead of good feels unfathomable. No real complaints about this one, though I will say the end of a certain character came about really swiftly and I was hoping for a more epic battle with them in the end. 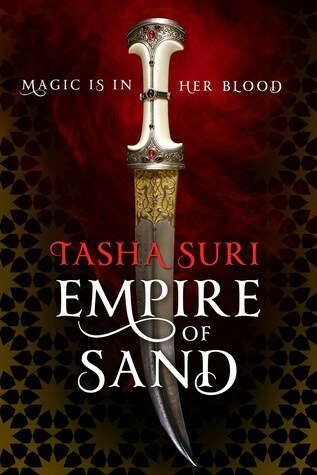 Tasha Suri’s Empire of Sand will surely sweep fantasy lovers off their feet. With beautiful descriptions and a harrowing journey at its center, Empire of Sand had me from page one. I have two very different books and two very different ratings for this set of mini-reviews. You might not see another set of mini-reviews for a while. I am going to be trying a new kind of format for books I don’t want to write full reviews for. So stay tuned for that. 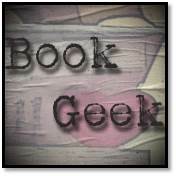 Covers below are linked to Goodreads. “She’s on borrowed time…and she has only one chance to set things right. Deep in a forest, Aileana Kameron claws her way out of the earth. Back from the dead with no memory of who she is or what has happened to her, the Falconer now possesses even greater otherworldly powers and a ruthless instinct to kill—and the one piece of knowledge that can change everything. 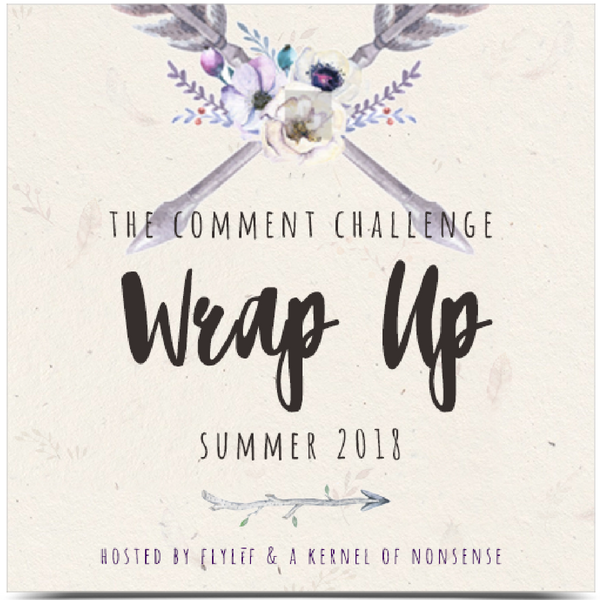 Two fae monarchs, Aithinne and Kadamach, stand on the brink of war, and according to an ancient curse, one must die at the hand of the other or all the worlds will perish. Once, Kadamach was known as Kiaran, and he was mentor, protector, and lover to Aileana. Now, under the grip of the curse, his better nature seems lost forever. Aileana’s only hope lies in the legendary Book of Remembrance, a book of spells so powerful that it can break the fae curse and even turn back time. But the book has been lost for centuries, and many are looking for it, including its creator, the Morrigan—a faery of terrifying malevolence and cruelty. To obtain the book and defeat the Morrigan, Aileana must form an unthinkable alliance, one that challenges every vow she has made to herself—even as the powers that brought her to life are slowly but surely killing her. 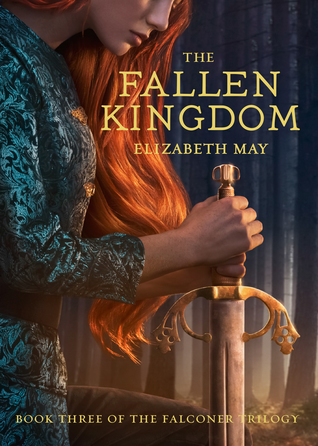 I have been putting off Elizabeth May’s final book in her Falconer Trilogy for over a year in fear of how the series would finally end. I finally picked up The Fallen Kingdom and absolutely adored the conclusion. 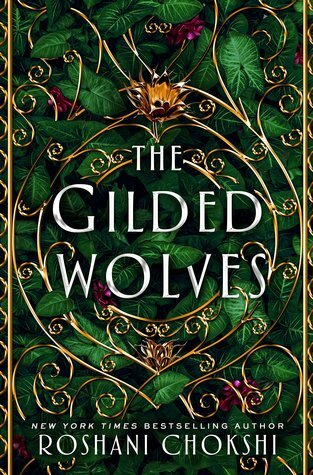 This final book in the Falconer Trilogy pulls no punches as the characters we’ve come to know are met with even more impossible odds in their quest to save both the human and fae worlds. One of the things I really admire about May’s writing is she’s not afraid to have her characters lose. This has made the whole series a nail-biting journey. Each book has felt like an accomplishment in and of itself and I cannot choose which of the three would be considered the weakest. I’ve really enjoyed all the side characters from Aileana’s loyal faery friend Derrick, who always adds a dash of humor to even the direst of situations, to Kiaran’s sister Aithinne, who makes it easy to see the humanity in these otherworldly fae creatures who often feel untouchable. I’d be lying if I didn’t mention that my favorite relationship has always been Aileana and Kiaran’s. I’ve loved all their interactions, from the first book when bickering was their favorite way of communicating to the second novel when they were just starting to discover what their feelings for one another meant to this final book when it feels that every interaction may be their last. The Falconer Trilogy is a underrated fantasy series in my opinion and May is a really gifted author we should all be paying attention to. 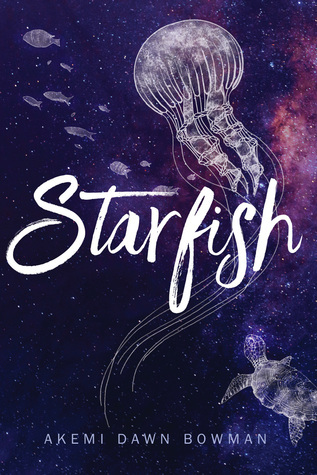 “When six clones join Emmaline’s prestigious boarding school, she must confront the heartbreak of seeing her dead best friend’s face each day in class. Rebecca Hanover’s The Similars has an interesting premise, but lacked that something extra that would take it from being mediocre to something truly unique. Emma Chance is still reeling from the death of her best friend Oliver who died by suicide. Going back as a junior to Darkwood Academy should help Emma feel normal again, but the elite boarding school just brings back memories of Oliver. When the academy enrolls the Similars, a group of clones, Emma’s entire world is turned upside down. Not only do the Similars bring controversy to campus, the U.S. and the rest of the world are wrestling with the ethics of cloning and clone rights, unbeknownst to Emma, one of the Similars is Oliver’s clone. Emma and Levi don’t get along from the get-go, but when Emma discovers there may be something more to Oliver’s death, she enlists his and the other Similars’ help. 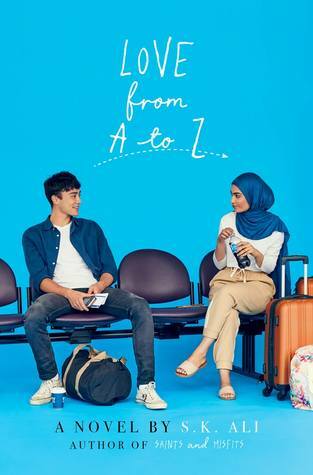 I wish I could point to more than the premise as being a positive element of this novel, but from the characters to the plot to the writing, I found this one to be incredibly lacking. Emma was not a character I liked or even respected. She was the kind of character who thought not caring made her stand out, making her come across as incredibly privileged. I was not a fan of her relationship with Levi for several reason, one of which being she literally physically attacks him the first time they meet. Secondly, she never fully deals with Oliver’s death, so starting a relationship with his clone left me feeling uncomfortable. There are twists and turns in this one that sometimes felt so disjointed, it felt like I was reading five different versions of the same story. 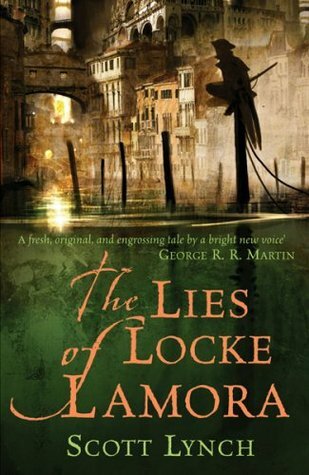 The writing left me wanting more and while I did like exploring this world, I never felt immersed in this world. “While most of the world has drowned beneath the sudden rising waters of a climate apocalypse, Dinétah (formerly the Navajo reservation) has been reborn. The gods and heroes of legend walk the land, but so do monsters. Rebecca Roanhouse’s Trail of Lightning is a ferocious and intoxicating fantasy novel that will keep readers on the edge of their seat from start to finish. Maggie Hoskie only knows how to do one thing well: kill monsters. Not a bad skill when you live in a world where monsters walk the land, lying in wait for their next victim. Ever since her mentor abandoned her, Maggie’s been going it alone. When a job brings her into contact with a monster whose behavior deviates greatly from the ones she’s been hunting for years, she stumbles upon a mystery. Someone is using witchcraft to create these creatures. With little to go on, Maggie must accept help from Kai Arviso, a medicine man in training whose amicable disposition is a far cry from Maggie’s often hostile personality. 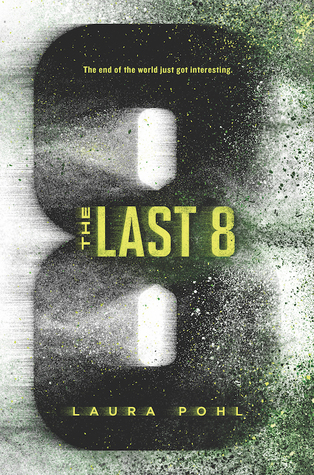 Their journey leads them to more questions than answers and closer to an enemy that may be impossible to kill. Rare is the book that strikes a perfect balance between world-building and characterization, but Trail of Lightning does just that. Roanhouse’s post-apocalyptic setting sets the stage for a dangerous and unpredictable world. While much of the world outside Dinétah has been decimated, the reservation has protected itself with the Wall, meant to keep out the chaos that followed a series of environmental catastrophes. But resources inside the reservation continue to grow scarce and the Wall had no way of protecting the people from the monsters within. There are also the Diyn Dine’é, the “Holy People”, godlike beings who have once again emerged to play a role in the story of the Diné people. With the world taking new shape, many Diné have also undergone a metamorphosis. Supernatural abilities have manifested themselves in the form of clan powers. For Maggie, being part of the Honágháahnii (“one walks around) and K’aahanáanii (“living arrow”) clans, makes her unnaturally fast and an efficient killer. Maggie has been training and hunting monsters for years, her drive is borne out of a tragic past when she lost the last person who truly cared about her. It’s easier for her not to care, to brush off the whispers behind her back, to close herself off from the world. But she is haunted by the fear that she will eventually become like the monsters she hunts and without someone to pull her back from these thoughts, it becomes a large part of who she is and affects how she navigates the world. Kai is an easy character to take a liking to. Gregarious and charming, Kai is the more efficient investigator. While Maggie is willing to spill a little blood in order to get answers, Kai tapers this instinct, showing her that reaching for her trusted Böker may not always be the best way to handle a situation. Their friendship is slow coming, but every small step forward feels like Maggie is pulled further out from the cage she has built for herself. It is through Kai’s eyes that Maggie slowly comes to realize that she can be more than the killer she was trained to be. Roanhouse’s debut is easily my favorite book of year. Trial of Lightning captivates with its exhilarating action scenes, pulls you in with its multifaceted characters, and guts you with its epic ending. I cannot wait for more. Whoops, I meant to post this set of mini-reviews before the last, so these are very very late. I wrote this set of mini-reviews back in October, but ended up going on a little hiatus in November and so this post has been sitting in my drafts for several weeks. They were both stellar reads for me and I’m a little sad that I wasn’t able to share my reviews of them sooner. If you’re on the fence about picking up either of these series, I say throw away all your doubts and dive in now. 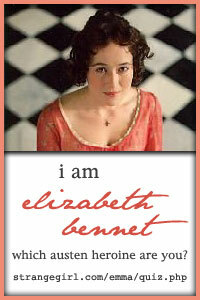 Covers below are linked to Goodreads. “Twin sisters Jack and Jill were seventeen when they found their way home and were packed off to Eleanor West’s Home for Wayward Children. Seanan McGuire’s Every Heart a Doorway introduces readers to what happens to children after they step back into the real world after spending time on the other side of magical portals. 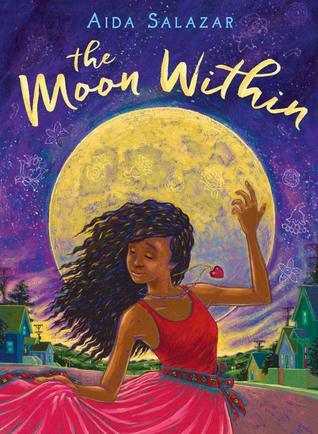 Jack was instantly one of my favorite characters and after the ending of the first book, I was happy that this next book in the series covers what happened to Jack and her twin Jill when they found their magical door. The contrast between these to characters is so stark, but in Down Among the Sticks and Bones, we discover that these two girls used to live very different lives. Jill was the tomboy, always running around wild, while Jack was always too afraid of getting dirty. But this says more about their upbringing than either child as their parents had quickly made up their mind about who their children were before letting them discover it for themselves. When Jack and Jill stumble into the Moors, they are given a chance to be who they’ve chosen to be for the first time. The Moors is not a bright, happy place and the two girls grow up to be reflections of their mentors. 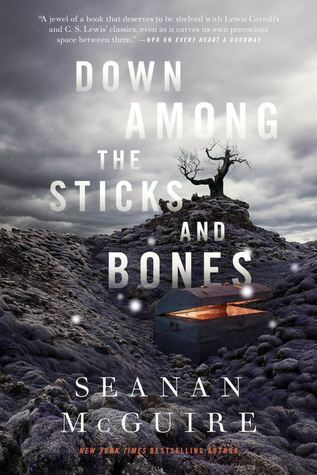 Seanan McGuire once again impresses with her storytelling ability. It isn’t hard to fall into the story, to become invested in the characters. I cheered when Jack was able to be herself and be valued for more than how she looked and even though things work out a little differently for Jill, she was still able to do many of the things that were once barred to her. The story is heartbreaking as both characters end up losing something precious to them, but is mesmerizing in its darkness and the tragedy of twins who were never able to come to fully love the other because the adults in their life always set one against the other. “Dexter meets This Savage Song in this dark fantasy about a girl who sells magical body parts on the black market — until she’s betrayed. Rebecca Schaeffer’s Not Even Bones is a bloody romp which explores morality in a world that has little room for things like mercy. Nita has spent years dissecting bodies and helping her mother sell various parts of “unnaturals”, humans with strange abilities that can be both deadly and odd, on the black market. Nita finds conversing with the dead far easier than with the living, but this way of life has kept her in part ignorant of the world outside. When her mother returns from a hunting expedition with a living, breathing young man as a prisoner, bent on selling his body parts one piece at a time, Nita must decide what kind of person she is going to be. If you’re easily squeamish when it comes to blood or severed body parts, Not Even Bones may not be the novel for you. 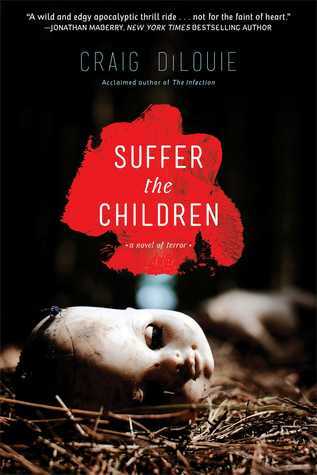 But if you’re like me, you’ll appreciate that Schaeffer takes her gloves off in this one, so to speak, embracing the gruesomeness of the story and testing her characters at every turn. There are no clear-cut good and bad characters in this one. Though you may root for someone like Nita, she isn’t without her flaws. But she like many of the other characters are very human. They show selective empathy, making good and bad decisions in equal measure. Sometimes they are forced to ignore other people’s pain and sometimes they even delight in it. In the end, they are just trying to survive in a world that decided they are less than human. Not Even Bones is the start of a unique and deliciously disturbing series that challenges both its characters and its readers.